I strongly believe that creator-owned comic books are the renaissance the medium needs in order to survive and truly evolve – history has shown this to be the case – and now that technology has made interaction, collaboration and discussion so much easier we should inevitably expect comic books as a medium to benefit somehow from this instantly accessible pool of people and information. Anyway – if you’re not familiar with Reddit in general, do yourself a favor and go check it out, you can thank me later. In the meantime, please see the official pitch for the project below – then if significantly intrigued, follow up on things here or on the Comic Book Collaboration subreddit – take an active part in pushing the medium more into the hands of the masses. The general idea is this – myself,(Jonathan Duran) and fellow Redditor Matthew Meylikhov will be accepting and editing submissions for a self-published anthology book, to be distributed independently, as long as there is sufficient interest and content to do so. This is a non-profit project, to be released under a Creative Commons license; it will be available for the lowest price possible in print and *for free* digitally, with all money received from any sales and/or donations going straight towards printings, distribution and ancillary costs associated with creating the books. 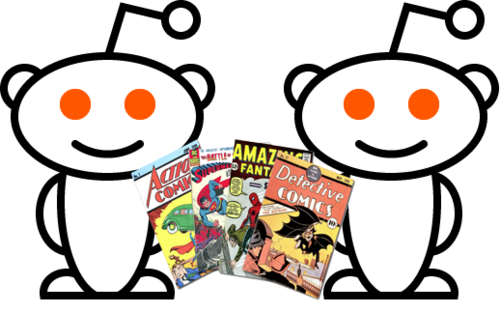 We will be promoting this project through Reddit and any other means we can wrangle up (Comics journalists and bloggers, please get in touch! ), so there will hopefully be a fairly sizable reading audience out there for this project. 1. We want the community to weigh in on everything with absolute transparency in all things associated with the project, and we want the final project to be something that people enjoy working on AND enjoy reading. If you have questions, comments, concerns, ideas, musings, whatever – please bring them to us immediately. 2. Unfortunately, no one will be paid for this – so please, first time writers and artists, do not expect immediate remuneration for your time. This is purely a “get published or die trying” endeavor, with the idea being essentially to a) get practice creating sequential art in a collaborative way, b) to hone your craft and c) to start building a fan base for your future work. Please keep in mind that even we, the publishers, will be earning no profit form this project. All wealth will be found in future notoriety. 3. Stories should be between 4-8 pages. This is to keep the workload light and to hopefully attract more creators to the project without over burdening any one creator. Additionally, writers — do not feel pressured to find only knock-you-down gorgeous and “expertly professional” artists. We encourage you to seek out collaborators who simply have the same passion to create as you, which will ultimately result in a satisfying final product. On top of that, artists — we encourage you to think outside of the normal aesthetic bound. Go abstract, cartoonish, hyper-deformed, anime, etc. Any visual style is viable here and welcome; “traditional” comic art of any kind is not required for this project. There are many fine details which need to be worked out in order to get this project off the ground – so we need your feedback, suggestions, complaints and appraisals of every facet of this endeavor. Thank you for your consideration, your feedback and your participation. Let’s make a truly independent comic book – on our own terms.